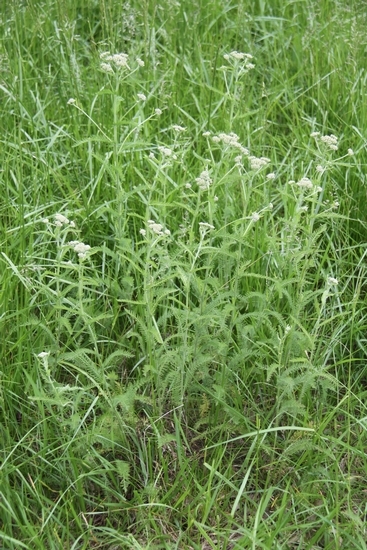 A perennial from rhizomes with finely dissected leaves and white, flat-topped flowers. Found throughout the United States except on the Florida peninsula. 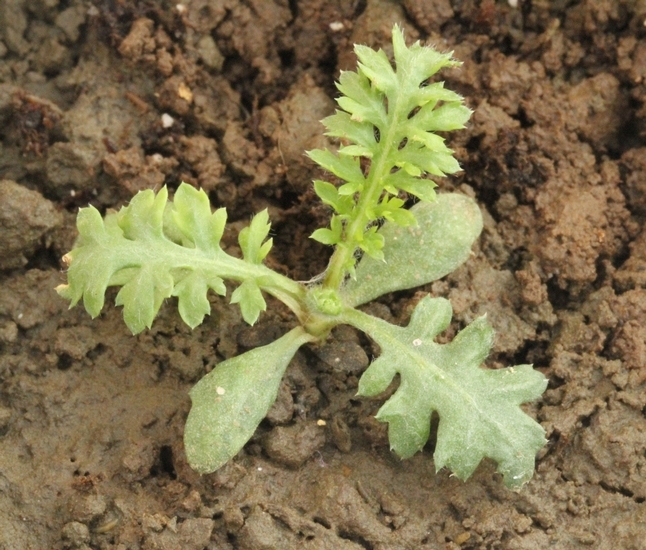 Cotyledons oblong, young leaves finely dissected with pointed lobes or teeth. 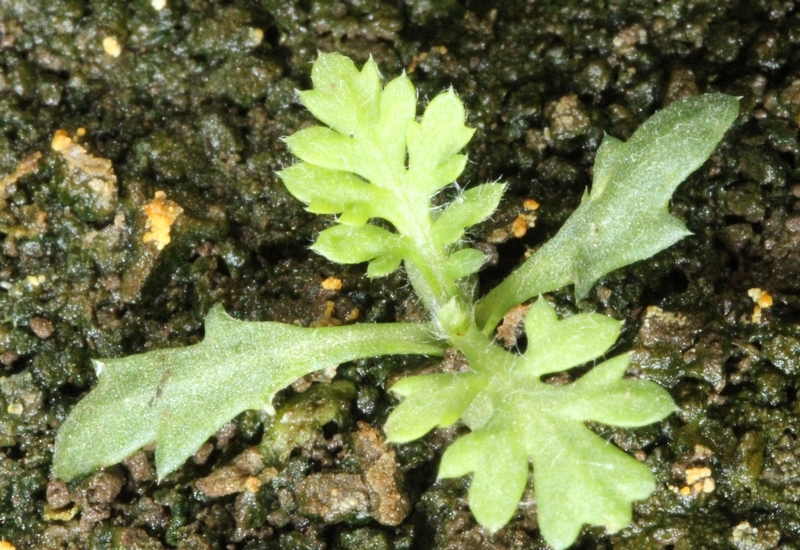 Seedlings develop into a rosette and have hairs that mostly lay flat against the leaf surface. 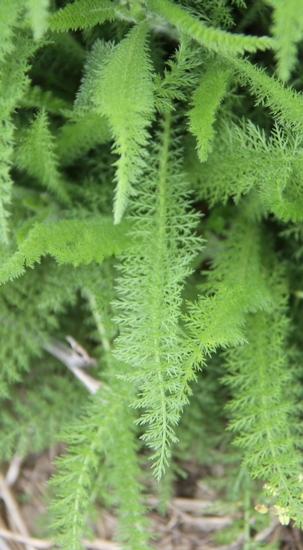 Young plants are almost fern-like. Lower basal leaves have petioles. 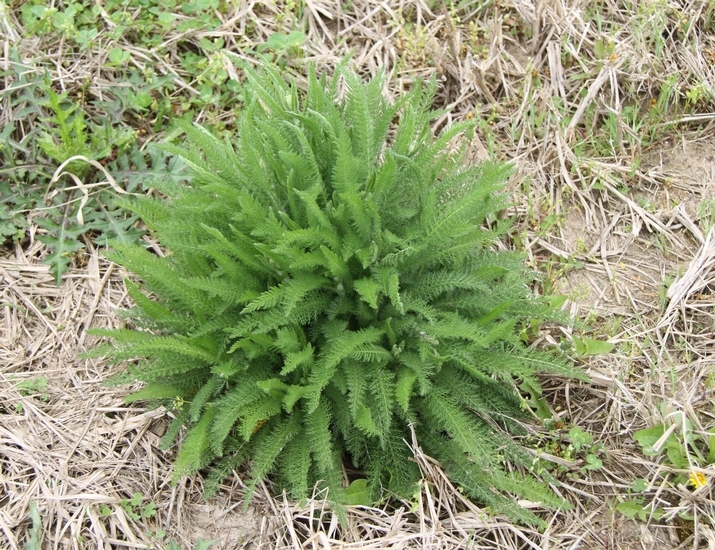 Upper leaves are alternate and without petioles, often smaller than the lower leaves. 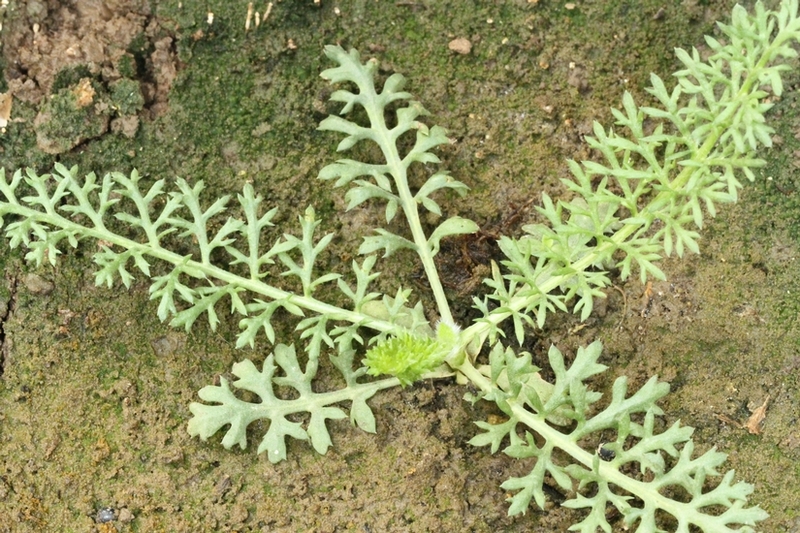 All leaves are finely dissected, 1-6 inches long, up to 1 inch wide, with many short inconspicuous hairs. 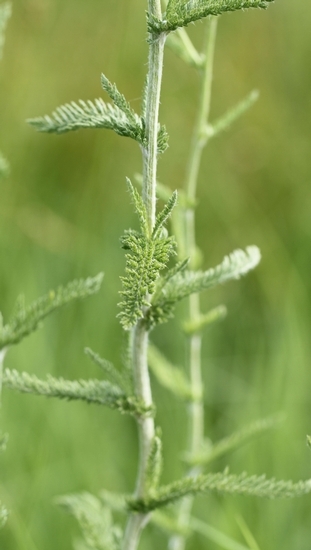 May have white hairs or without hairs, usually unbranched, reaching 2 1/3 ft in height. Many white or sometimes pinkish flowers form a single, flat-topped rounded cluster of flowers that are often confused as a single flower. 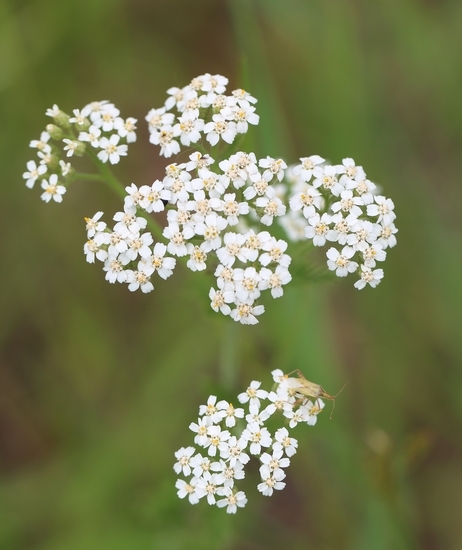 Many of these flat-topped clusters of flowers occur on a single plant at the ends of branches. Individual flowers are 3-5 mm in diameter. Fibrous roots with a rhizome system. 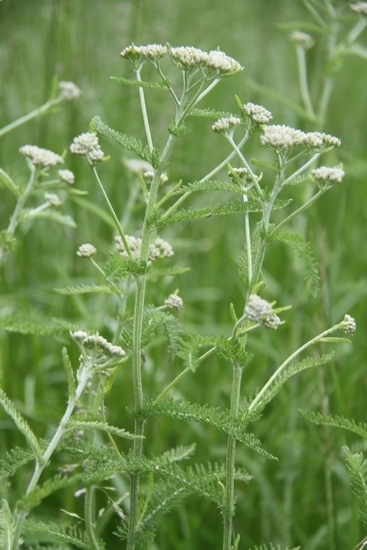 The rhizomes of common yarrow help to distinguish this weed from others with a similar flower such as Wild Carrot (Daucus carota) or Poison Hemlock (Conium maculatum). 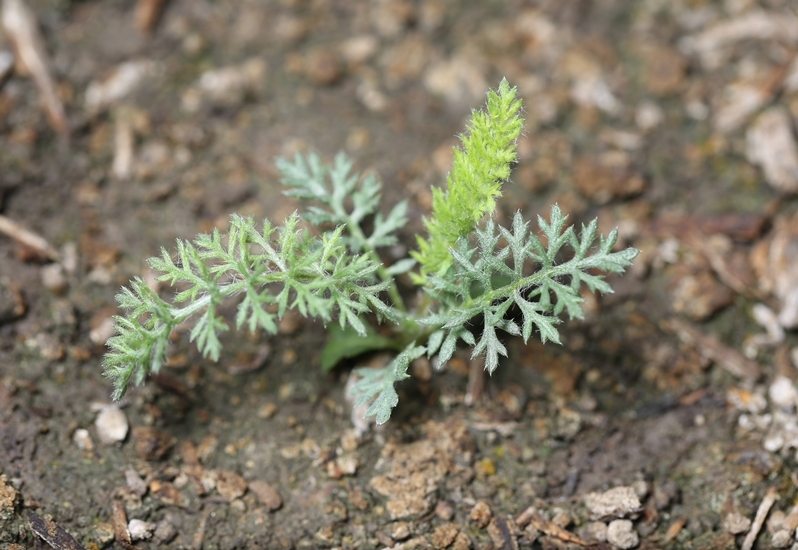 This weed may also be confused with Mayweed Chamomile (Anthemis cotula), especially when in the seedling stage. 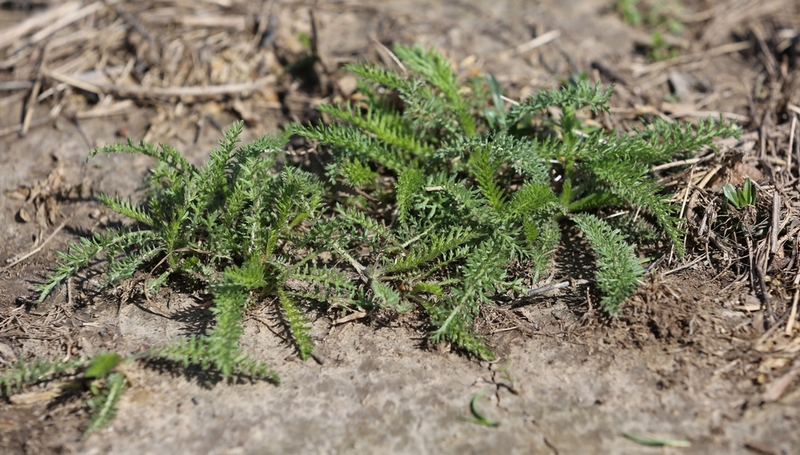 However, the leaves of mayweed chamomile are much less hairy than those of common yarrow. 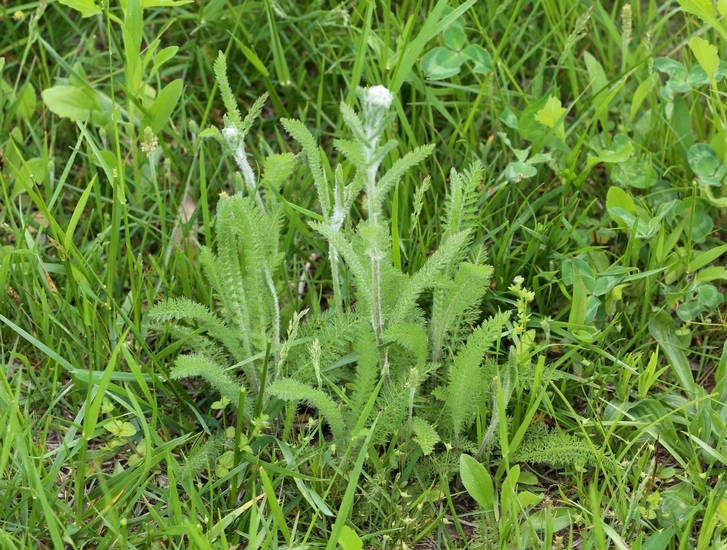 Additionally, when mayweed chamomile plants are mature, they develop white flowers with a yellow center and have a taproot, unlike the larger white flowers and rhizome system that occurs in common yarrow.